Industrial heritage is at the core of a biennial exhibition called 'Encounter' which will highlight the global importance of waterfront areas. 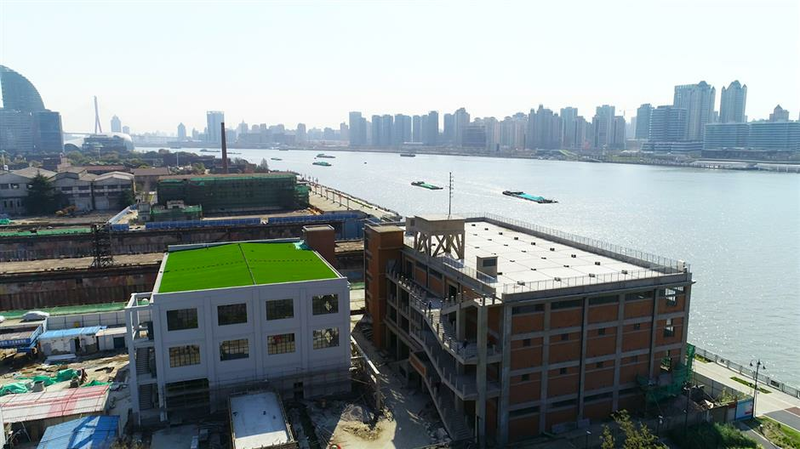 The former Shanghai Shipyard site will open to the public as the main site for the biennial Shanghai Urban Space Art Season 2019 to run between September and November. One of Shanghai's oldest shipyards will open to the public for the first time in September along with a nearby century-old textile warehouse for a two-month exhibition. 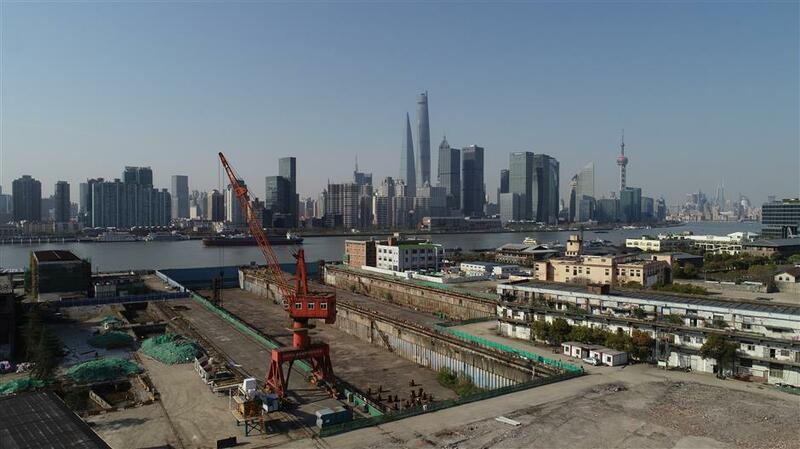 The relocation of Shanghai Shipyard has left a large number of facilities such as two major shipyards, crane towers, conveyor belts, gear wheels and pipelines at its original site on the Huangpu River waterfront in Yangpu District. China’s first 10,000-ton ship, the Shaoxing, was built there in 1978 and the nation’s first oil drilling platform was built there in 1984. The platform is still operational. The site will open to the public along with a new 2.7-kilometer riverside path for the biennial Shanghai Urban Space Art Season 2019 between September and November. Global artists will create about 20 sculptures or art installations along the riverside for an exhibition on a "waterfront space" theme. Event organizers have also invited artists to design five artworks for permanent exhibition on the waterfront. The exhibition is being organized by Shanghai Urban Planning and Natural Resources Bureau, Shanghai Administration of Culture and Tourism and the Yangpu District government. Entitled "Encounter," the exhibition aims to highlight the global issue of how waterfronts can be brought back to life, according to Fram Kitagawa, a Japanese artist and the exhibition's curator. The theme for the exhibition originated from a blueprint released by the city’s urban planning authority for its waterfront development, said Wang Xunguo, deputy director with the urban planning bureau. 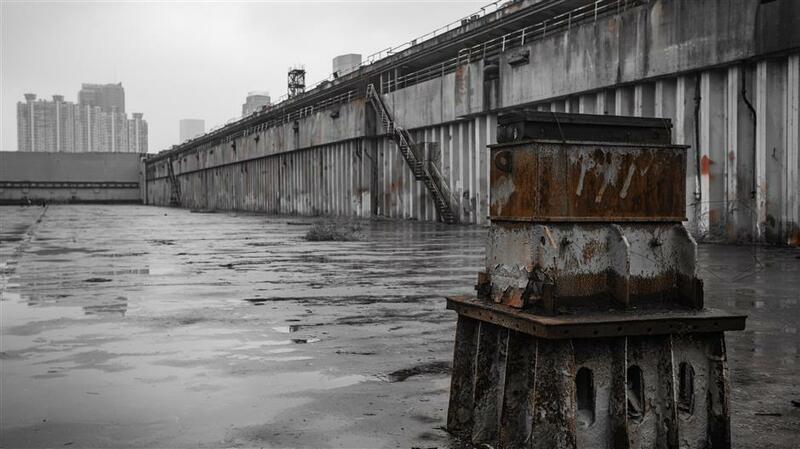 One of the two shipyards dating back to 1900 will host various art exhibitions in September for the Shanghai Urban Space Art Season 2019. 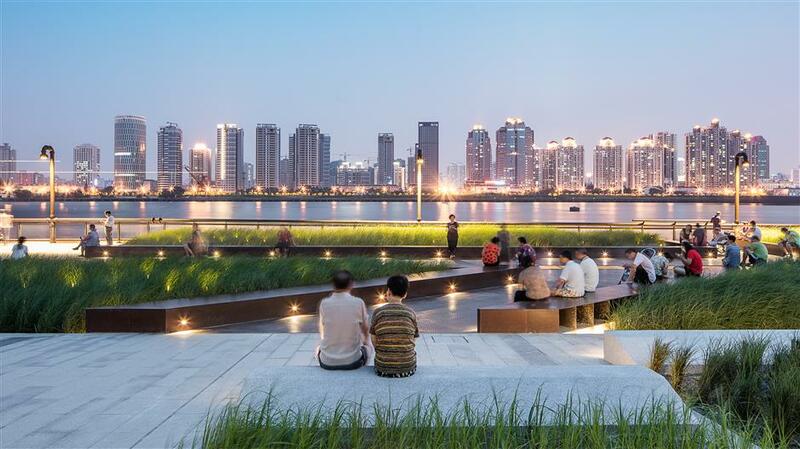 According to the “striving for a world-class waterfront area” plan, continuous riverside zones will be created along the Huangpu River and Suzhou Creek by 2020, featuring more greenery, preserved historical buildings, bridges and “sponge city” technology. Sidewalks stretching 45 kilometers on the banks of the Huangpu between Yangpu Bridge and Xupu Bridge have opened. The city now plans to extend those upstream and downstream while improving the section that is already open. The initial 2.7-kilometer extension, once home to China's early industries such as the first power, water and textile plants, is an ideal best site for the exhibition, according to Wang. The two shipyards, being over 200 meters long and about 10 meters deep, for shipbuilding and maintenance, will become major exhibition spaces, according to organizers. The shipyards were established in 1900 by a Germany company to build shallow water vessels, tow boats, ferries and cruise ships. The site became one of the largest shipyards in China in the 1930s and was named Shanghai Shipyard in 1985. China's icebreaker Xuelong, also known as the Snow Dragon, was renovated at the shipyard in November 2007. The Maoma Warehouse (right), built in 1920 by a British textile company, will be the main indoor exhibition space for the Shanghai Urban Space Art Season 2019. Its nearby Maoma (linen and wool) Warehouse will open as the main indoor exhibition space. The warehouse was built in 1920 by a British textile company. It was later purchased by the state-owned Shenxin Textile Factory No. 7 and witnessed the prosperity and decline of the nation's textile industry, organizers said. The four-story warehouse, covering about 6,600 square meters, will become an art exhibition space. The city's planning authority is seeking to preserve 66 historical buildings along the south section of the Yangpu waterfront, mostly industrial relics covering a total of 262,000 square meters. The industrial zone once blocked citizens from walking close to the Huangpu River and the authority now aims to develop the former production space into public space for residents, according to organizers. It has become a tradition for the urban space art season to be held at former industrial sites since the first event in 2015. The previous event in 2017 in the Pudong New Area was held in what was once Asia's largest grain silo. In 2015, the opening season was held at a renovated Shanghai Aircraft Manufacturing Co hanger. It is now the West Bund Art Center, where art exhibitions and fashion events are frequently held. 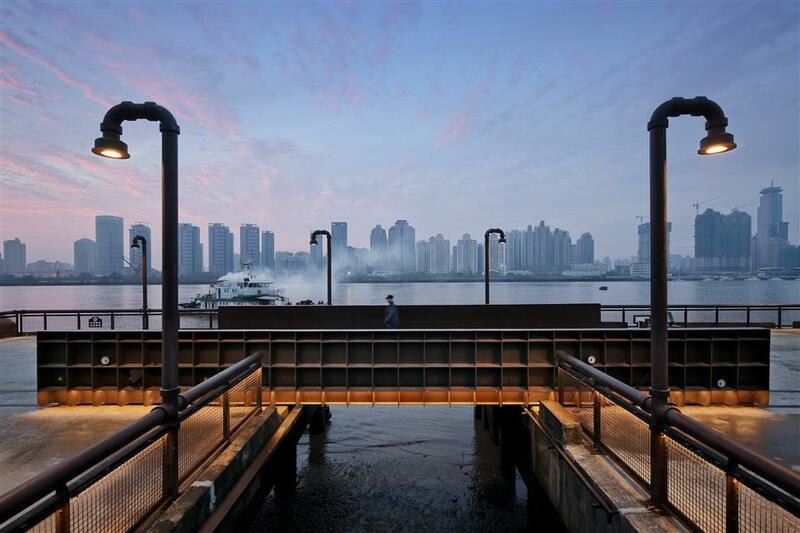 A section of the Yangpu District waterfront region has been opened to the public. Preserved industrial heritage in the Yangpu waterfront region.